NDP Leader Jagmeet Singh knows he needs to do something to rekindle his party’s relationship with voters in Quebec. But his source of inspiration suggests his ambitions are anything but lofty. He unveiled the opening act of his plan on Monday, when he named Alexandre Boulerice as the party’s deputy leader and charged him with leading the NDP’s election campaign in the province. It was the first in what Singh says will be a series of announcements meant to woo Quebecers back into the orange fold. Singh certainly has an uphill climb ahead of him. After winning 59 seats in Quebec in the 2011 federal election, the NDP dropped to just 16 seats and 25 per cent of the province’s vote in 2015. These days, the NDP would happily take those 2015 numbers again. The CBC’s Canada Poll Tracker pegs NDP support at just 11 per cent in Quebec, putting the party in fourth place and potentially on track to lose all 15 of the seats the party still holds after its defeat in the Outremont byelection last month. Singh’s own personal numbers in the province are anemic. On average, just four per cent of Quebecers pick Singh as the best person to be prime minister, while more respondents have a negative opinion of the NDP leader than a positive one. Considering that just one per cent of Quebecers chose Singh as the best person to defend Quebec’s interests in a Léger survey earlier this year, the party has a significant credibility gap to overcome. Boulerice, a Montreal MP first elected in 2011, may be better placed to do that than Singh. On Wednesday, Boulerice announced what he called the “second chapter” of the NDP’s outreach effort in Quebec. Nima Machouf was announced as the party’s candidate for the riding of Laurier–Sainte-Marie, currently held by two-term NDP MP Hélène Laverdière, who is not running for re-election in the fall. Machouf, who ran for municipal office with Projet Montréal in 2009, said she is a member of Québec Solidaire and a supporter of that party. Her husband Amir Khadir represented Québec Solidaire in the National Assembly from 2008 to 2018 and effectively co-led the party from 2006 to 2012. 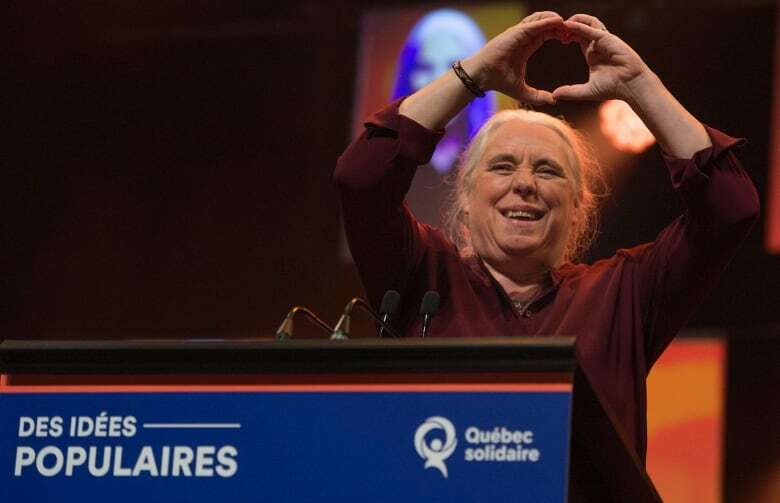 Québec Solidaire is a left-wing party that made a breakthrough in October’s provincial election, jumping from three seats and 7.6 per cent of the vote in 2014 to 10 seats and 16.1 per cent of the vote last year. Its logo and branding conveniently share the same orange hue used by the NDP. The party also happens to be sovereigntist. Asked by reporters if she shared that political position, Machouf said that the party’s shared battles with the NDP for social justice, equality and the environment were more important to her than QS’s push for independence. Still, its a case of strange bedfellows for a national, federalist party like the NDP. New Democrat MP Brigitte Sansoucy, also at the announcement, argued that the QS’s gains demonstrated that “new winds” are blowing in Quebec. But if the New Democrats are banking on riding on Québec Solidaire’s coattails, they might be sorely disappointed. Léger found that just 18 per cent of QS voters backed the NDP, while more supported either the Liberals or the Bloc Québécois. And it’s a small pool from which to fish. The poll found the NDP at six per cent among supporters of the Coalition Avenir Québec, the centre-right party that won a majority government in the fall election. That six per cent of the larger pool of caquistes represents about as many actual voters for the NDP as its 18 per cent of solidaires. It also suggests the NDP has modest ambitions in Quebec. Most of QS’s 10 seats overlap with seats held by the NDP. On the island of Montreal, QS’s six seats are largely contiguous with the federal ridings of Laurier–Sainte-Marie, Hochelaga, Rosemont–La-Petite-Patrie, Outremont and Papineau. Outremont is now occupied by the federal Liberals, while Papineau is the seat held by Prime Minister Justin Trudeau. So tapping into QS’s voter base in Montreal means holding three seats, assuming the NDP cannot defeat the prime minister or regain Outremont. Elsewhere in the province, half of the federal riding of Sherbrooke voted for QS in October, as did much of Abitibi–Témiscamingue. Both of these are NDP seats. And then there are QS’s two seats in the Quebec City region, which overlap with the federal ridings of Québec and Beauport–Limoilou. The first is held by Jean-Yves Duclos, a Liberal cabinet minister, and the other is held by the Conservatives. Though the NDP lost by only a few points in these two ridings, the party is not currently in a position to make gains anywhere in Quebec — least of all in Quebec City, where the latest polls put the NDP at just 11 per cent support. Altogether, this means that latching on to QS might only help the NDP hold five of its 15 seats in Quebec and give it an outside chance at gains in four others at most. 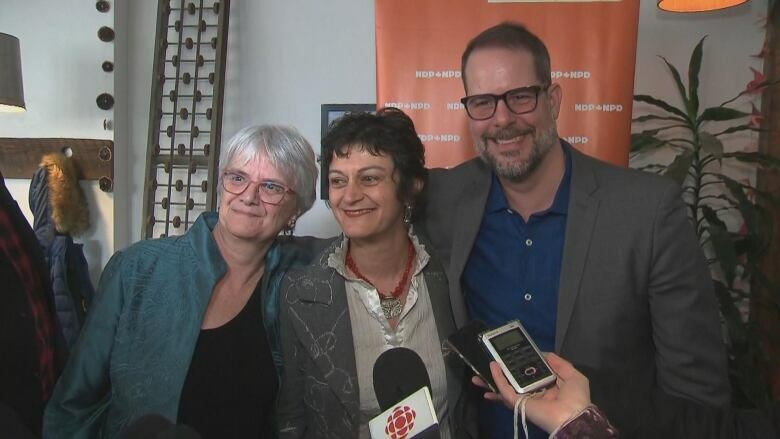 But there are few QS votes to gain in the rest of the NDP’s seats in central and eastern Quebec and in the Montérégie region — regions where QS captured less than 20 per cent of ballots cast last October. For the federal NDP, there’s also a danger in sidling up to Québec Solidaire. It could put off other voters in the province due to its position on sovereignty — and because QS is further to the left on the political spectrum than the NDP. Jack Layton’s breakthrough in 2011 happened not only among progressives in the urban centres of Quebec, but also among nationalists in rural areas — voters who have yet to warm to QS’s brand of politics. Emphasizing QS’s environmentalism makes sense in a province where voters tend to rate climate change as a bigger issue than voters elsewhere. But Singh will have stiff competition on that file. Yves-François Blanchet, the new leader of the Bloc, is a former Quebec environment minister who has focused on the issue in an attempt to regain for his party some of its old relevance. The Greens also are now on the radar in Quebec — something demonstrated by the party’s third-place showing in the Outremont byelection. With just under 13 per cent of the vote, the Greens scored their best result ever in any riding in the province. Both the Bloc and the Greens will be chasing that environmentalist QS vote along with the NDP. The New Democrats certainly have good reasons to try something different in their pitch to Quebecers, since nothing else has worked so far. But in hoping to replicate Québec Solidaire’s modest success in last year’s provincial election, the NDP might be swinging for the fringes, not the fences.